The long-awaited workshop is about to begin! 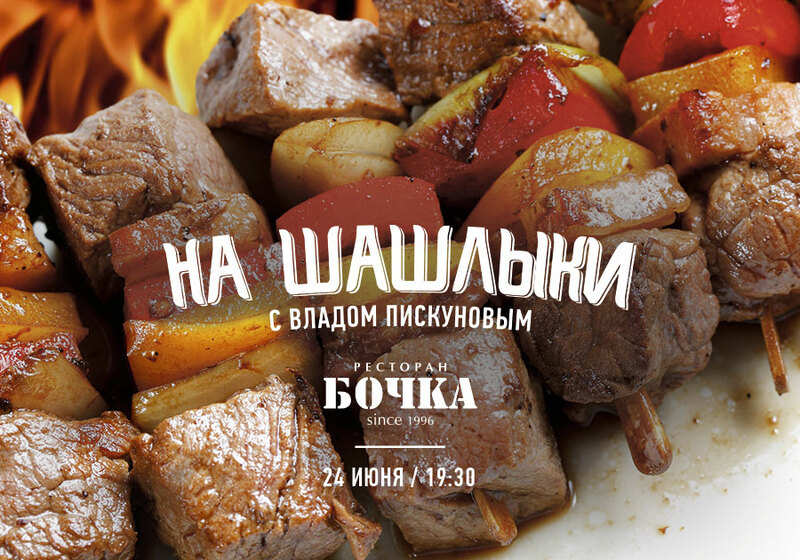 «Bab Bab Kebab»: theory and practice from Vlad Piskunov on June 24th #vbochke.All you wanted to know about meat, and even more! ∙ Beef liver shish-kebab with pomegranate icing. Look forward to shish-kebabs by the Maestro, new sorts of Polugar (Russian bread wine) and special gifts from Forester. Great night out guaranteed to put you in a good mood. Not to be missed! The participation fee is 3 500 RUB.